Melvyn Bragg discusses the causes, events and repercussions of the Spanish Civil War, which became an international battleground for the forces of Fascism and Communism as Europe geared up for war. Melvyn Bragg and guests discuss the Spanish Civil War which was a defining war of the twentieth century. It was a brutal conflict that polarised Spain, pitting the Left against the Right, the anti-clericals against the Church, the unions against the landed classes and the Republicans against the Monarchists. It was a bloody war which saw, in the space of just three years, the murder and execution of 350,000 people. 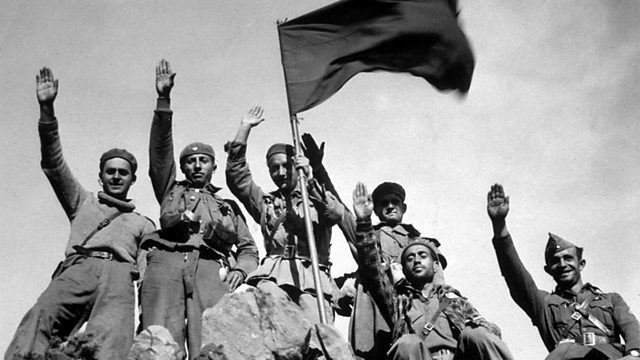 It was also a conflict which soon became internationalised, becoming a battleground for the forces of Fascism and Communism as Europe itself geared up for war.But what were the roots of the Spanish Civil War? To what extent did Franco prosecute the war as a religious crusade? How did Franco institutionalise his victory after the war? And has Spain fully come to terms with its past?With Paul Preston, Principe de Asturias Professor of Contemporary Spanish History at the London School of Economics; Helen Graham, Professor of Spanish History at Royal Holloway, University of London; Dr Mary Vincent, Senior Lecturer in the Department of History at Sheffield University.